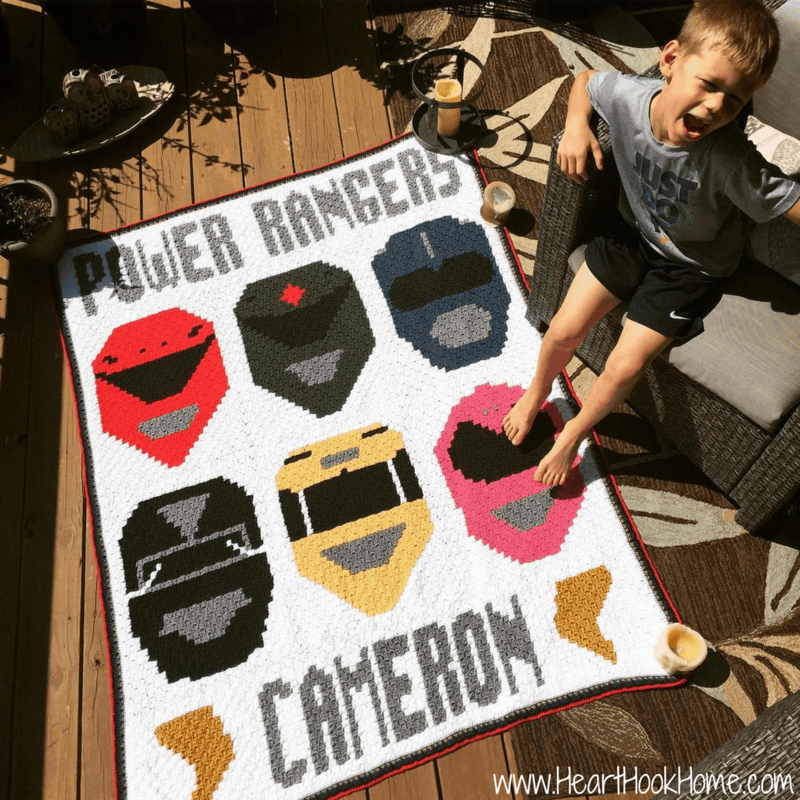 Do you have a little Power Rangers fan in your life? 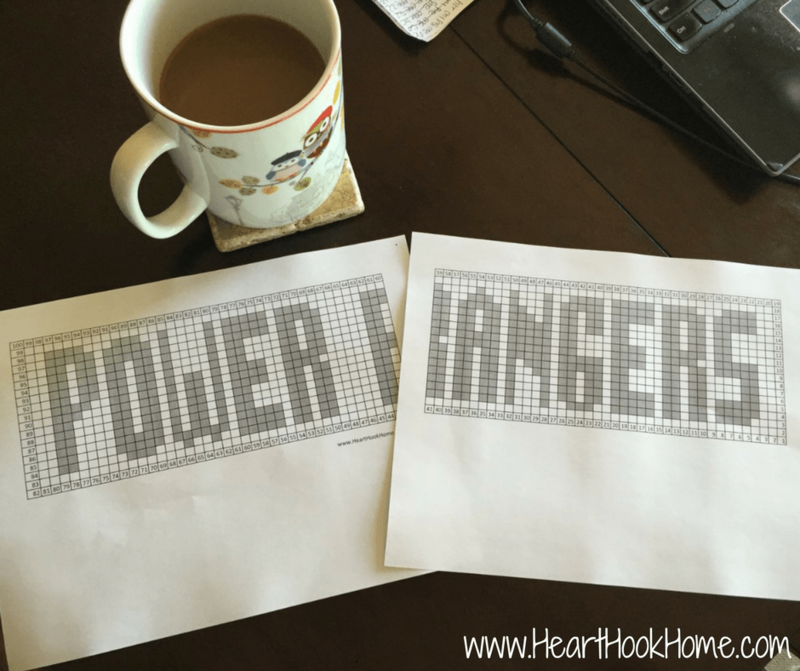 I’m happy to report that the “Power Rangers” portion of the graphghan Power Rangers blanket I posted a short while ago is now (finally) ready! Woohoo! Don’t be like me and use the cut apart and taped together again hand written pages. Ha! I’m the type of person that needs to work with colored pencils and physical paper when creating graph patterns. Note that I originally intended the lettering to be in gold, but then switched it to grey. I think either would be nice! If you would like the written pattern, you’ll need to head on over and print this file. If you would like the graph pattern, you’ll need to print out these pages and tape them together. I’ve PDF’d them in landscape view, it prints on just two pages instead of three. Print the written pattern here. Print the chart pattern here. Important note! I created this top portion of the blanket as one square wider than the blanket, to account for the width of the seams between the six of the blocks already created. When sewing (or before sewing) it may be best to use a stitch marker every 15 squares or so to make sure that they line up perfectly. After printing, simply fold one of the edges down and line them up. Then tape the two pages together, making sure that the numbers are sequential. My completed blanket (I used an H hook) is about 60″ tall. 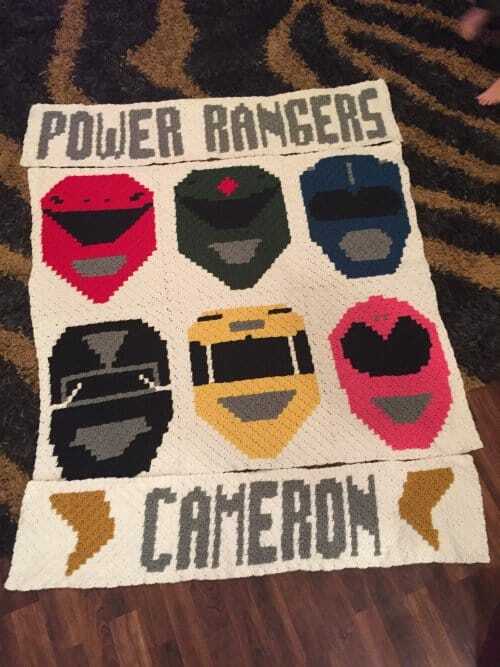 If you were to create the blanket without the “Cameron” bottom (in case your child’s name isn’t Cameron 😉 and you make the six blocks and the Power Rangers top) it would be about 50″ tall. Still a VERY nice size for a little fan! 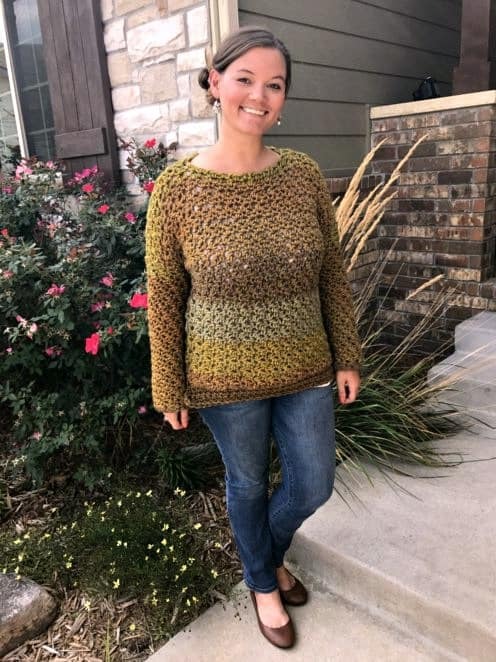 If you just found this pattern and would like to get started, you can find all of the block patterns at the links below. 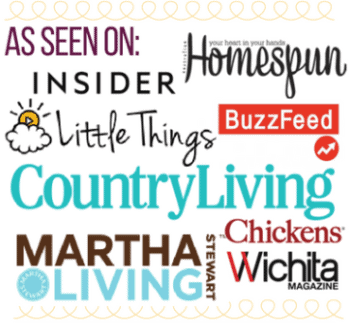 I hope you love it! 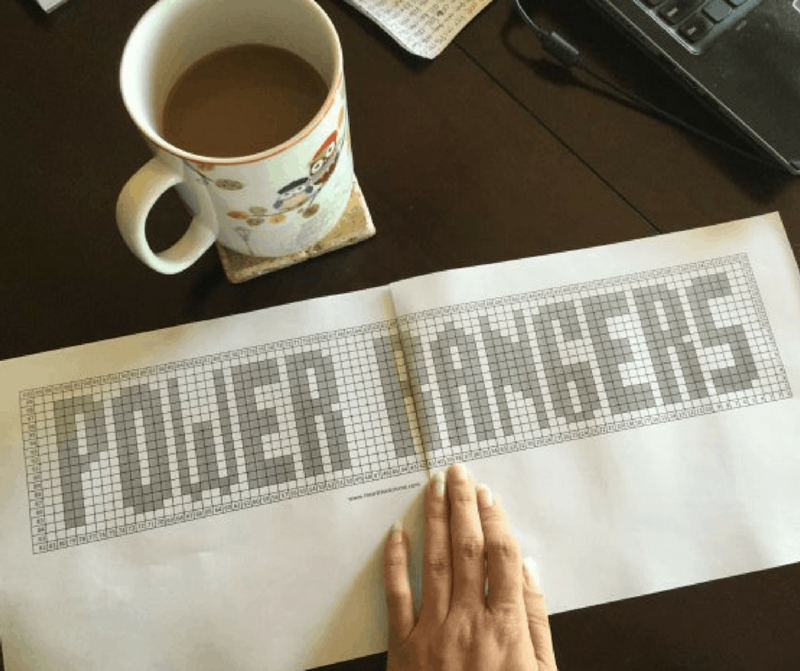 Anyone have a chart/graph for power rangers scarf? Hi Ashlea--I just finished all of the blocks and want to try to make a graph to spell my grandson's name (Ben). What are the dimensions of the bottom block that has your son's name on it? Thanks! Oh how awesome!! 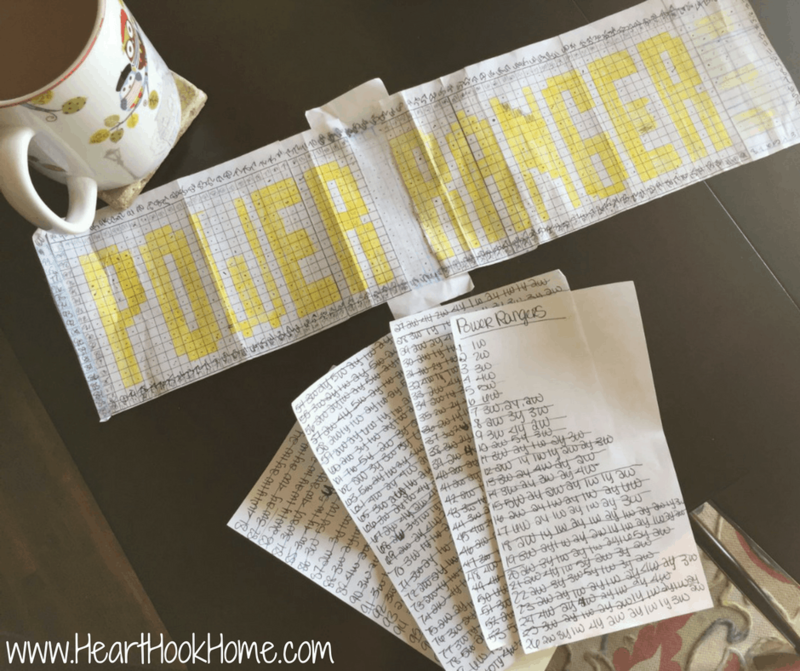 The finished number of blocks was 100 on the Power Rangers graph pattern (here it is if you need it: http://hearthookhome.com/wp-content/uploads/2016/09/Power-Rangers-Graph-Chart-by-Heart-Hook-Home.pdf) so I did 100 blocks wide and 19 blocks tall for his name as well. I'd love to see a photo when you're finished!